Very few cartoon canines have gained the love and admiration of viewers quite like the mystery-solving mascot of Mystery, Inc. The easily-frightened Great Dane has earned his place in history and the hearts of millions; from his 1969 debut to the present, some iteration of his franchise has been on the air. Here are ten of the lessons that kids can learn from Scooby-Doo. 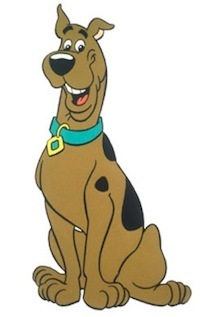 What Makes You Different Makes You Memorable – One of the first things that comes to mind at the mention of Scooby’s name is his speech impediment. Instead of being seen as a flaw to be corrected, it’s accepted as a part of him. For kids with speech impediments or other distinguishing characteristics, this can be a very uplifting message. Being a Good Friend Means Being a Loyal Companion – Loyalty is one of the most important aspects of friendship, and Scooby-Doo has it in spades. Regardless of the circumstances, Scooby-Doo sticks by his best pal Shaggy. Bravery is Carrying On in the Face of Fear – Scooby teaches kids that bravery is not a lack of fear, but the ability to carry on despite being afraid. This lesson is a very valuable one, especially during childhood, when so many things can seem frightening. Good Behavior Oftentimes Results in Rewards – The Scooby Snacks that come after a particularly challenging task is completed have their real-life parallels in the rewards that kids receive for good behavior, reinforcing the idea that making good choices has tangible rewards as well as character benefits. Use Everything At Your Disposal – In the face of trouble, Scooby-Doo will use his impressive prehensile tale and expressive face to distract the enemy in order to make a clean escape. This resourcefulness is a great skill for kids to hone. Family Ties are Important – The various members of Scooby’s family play a fairly large collective role in the Scooby-verse, showing kids that family is among the most important things in the world. Things Aren’t Always as Bad as They Seem – Though the monsters and supernatural creatures on Scooby and Shaggy’s heels are invariably terrifying, it’s revealed at the end of the show that they’re nothing more than regular people in scary disguises. Kids can walk away from a television session understanding that a situation might not always be as dire as it seems on the surface. Your Best is All You Can Do – The combination of constant fear and incessant hunger leave Scooby and Shaggy much better at comic relief than the actual solving of mysteries. Still, they do their best and approach each new adventure with their own special brand of enthusiasm, helping kids understand that doing your best is all that anyone can ask of you. Teamwork is the Best Recipe For Success – The villains in Scooby-Doo cartoons are almost invariably foiled by the efforts of all the team members; this reliance on teamwork is a great message for kids. Getting Distracted Usually Leads to Trouble – Things for Scooby-Doo generally go south when he and Shaggy allow themselves to be distracted, whether by a well-stocked kitchen or an interesting contraption. The duo serve as a cautionary tale about the dangers of losing focus. Scooby Doo is certain to be a cartoon character that will continue to entertain many new generations of kids, while providing them valuable lessons as well.